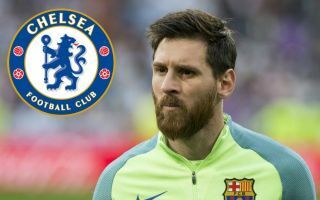 Chelsea may want to take note as it looks as though Lionel Messi could move to veto Barcelona sealing a transfer swoop for Genoa striker Krzysztof Piatek. The prolific Poland international has made an incredible start to the new season, looking one of the big breakthrough starts in Europe’s top five leagues. Don Balon claim this has Piatek on Barcelona’s radar as they look to make changes up front, but the Spanish outlet state that Messi is not keen on the move as he doesn’t want anyone to get in the way of his team-mate and friend Luis Suarez. CaughtOffside recently learned Chelsea had made initial contact over signing Piatek, with the 23-year-old looking an ideal candidate to come in and replace the misfiring pair of Alvaro Morata and Olivier Giroud. Piatek has since also been linked with the Blues by the Express as talk unsurprisingly hots up over the striker’s next move. One imagines, however, that Messi could be quite influential at Barcelona and prevent this deal from going through if he feels strongly enough about it. Chelsea fans will certainly hope so, as they urgently need someone like Piatek to come in, ideally this January, if they are to remain competitive in the Premier League title race.